Dedicated to the advancement of education through the use of safe, secure and appropriate technology. Based in Exeter, South West Grid for Learning (SWGfL) Trust is a not-for-profit charitable trust providing schools and other establishments with safe, secure, managed and supported connectivity and associated services, learning technologies and the toolkit for being safer online. Their specialist team bring a unique mix of education, procurement, online safety and technical expertise, and have been providing connectivity solutions to the education sector for over 16 years. They have received numerous awards and are a recognised world leader in online child safety, a founding member of the UK Council for Child Internet Safety as well as an advisor to Governments and the lead partner in the UK Safer Internet Centre. Our association started in 2006 when Thompson Jenner were appointed as auditors. This was the start of a lasting and rewarding relationship with the SWGfL management team and trustees, not only providing audit services, but also a range of specialist accounting, tax and advisory services. 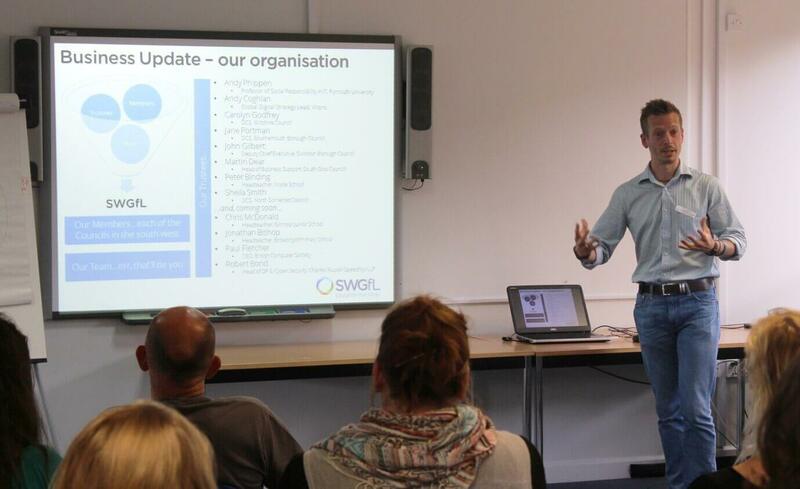 From the start, the team at Thompson Jenner formed an extremely close working relationship with the SWGfL management team, ensuring that their audit met the stringent statutory requirements as well as providing independent and valuable advice into the trust’s financial management and charity commission reporting procedures. By providing proactive financial and commercial advice we have assisted the trustees to increase their understanding of the trusts activities within a changing operating environment through undertaking regular assessments of the influencing factors, including funding changes, we have been able to assist in minimising any financial risk and putting together a robust business development strategy. We have assisted the trust in a number of other areas including playing an active role in undertaking a comprehensive financial probity of key suppliers and the setting up of successful subsidiary organisations ensuring that all regulatory, taxation, and governance issues are effectively dealt with. We also provide tax planning, payroll and secretarial services on a routine basis. SWGfL now provides its services to thousands of schools and other establishments, across the 15 local authorities in the South West and beyond, and we have been privileged to be part of their success in providing a safer internet for all young people. "We have worked extremely closely with the specialist team at Thompson Jenner for several years. During that time they have continually demonstrated their excellent charitable and commercial expertise. In addition to their undoubted technical knowledge and audit capability, the proactive advice that we receive from Simon Lewis and his team has always been of the highest value, positively helping us meet our financial planning and operational requirements. In summary, Thompson Jenner’s unstinting support and help has been invaluable to our organisation."